I thought it might be cool to put a thread together of potentially cool ideas for continual development of the 200e series & Easel. 1. 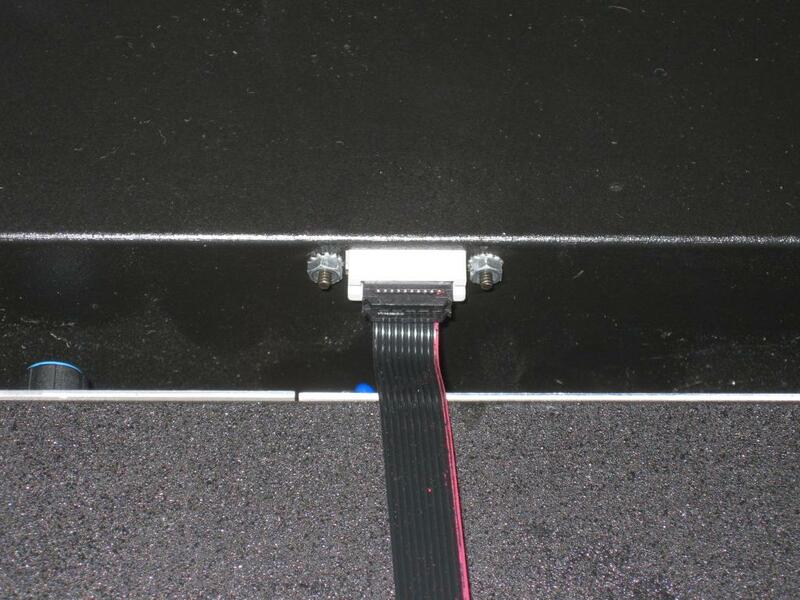 Trunk line case connectors - I currently have a full 18 space case but I am not sure that I want to haul an 18 space case with me everywhere because I find the Skylab case is the best for that since it closes up patched. (For me) It would be great to have a Skylab of core modules and then 2-4 space cases focused on sequencing and FX/Processing (or a single 8 space). Yes I am aware that there is a way to connect cases but quite frankly, it is kind of janky IMO. It would be awesome to have a way to connect cases externally, bascialy a trunk line between the cases. Ideally this trunk line would be able to transmit preset recall data, midi and some audio and CV between cases. I believe ideally 2 way communication would be best and actually would probably be best served with some sort of modified 210e like module. I haven't fully fleshed this out in my head but I am sure there are gotchas, limitations to accept or whatever but I think a clean way to to connect cases together allows for larger studio set-ups and the ability to grab something more reasonable for playing live or jamming with others. Also, it would allow more unique in person collaborations with other 200e users ex. sending my modulation to my friend and me processing their audio while both of us sharing midi clock AND using one preset recall. 2. Additional Easel cards: This doesn't neccesarily have to be a Buchla USA product but the 2OC has me wondering why there isn't more of an audio processing card (instead of CV with the 2OC). A card that had "apps" like Granular Processing, more standard fx like like delay,flanger, phaser, etc. And that has a few CV ins. Ideally it would do preset recall (without relying on an iOS app). Something like this would make me buy an Easel (again). Sure it is easy enough to run an easel through Eventide or Strymon pedals but having a little but of CV connectibility would make the fx more attractive and Easel preset recall brought into a physical format would just make this irrestible (basically, I would stop fretting about dragging 200e around with me). Those are my two main ideas currently. Anyone else want to play this game? I would be over the moon if Buchla USA made a polyphonic 218e.. but maybe thats just me. 2. Additional Easel cards ..that is what i am thinking. Last year in Berlin i was asking around if anyone of the existing FX builder from the Euro scene was up for a collab. We have the CV IO part down and adding effects to the Easel really makes it waaaay more interesting. But with every niche product its a cost/effort question, especially in an oversaturated market where majors are firing 250$ synths like konfetti. So we decided to keep it outboard, and with interesting new effects like the Strymon Volante and Kilpatrick Redox both under midi control the idea was born to made a controller card. Not sure if you seen the cardEM thread, but that is exactly what you are thinking of. And easel controlled audio effect, any effect, and 10 CV parameters to be animated. And next week we will add aftertouch reading the 218s pressure output. Clock can be extracted from the pulse input , including the arpeggio function, or it can take key commands via the gate bus. NoteON/OFF comes from the pitch input, naturally. And then there are still 4 more that are patchable . Think using the 218 to play external synths as background, animating the distance of playheads on a tape delay in sync to your arpeggio or just fading in and out of reverbs, distortions bit crushers etc. Case interconnection is one for the case builders. 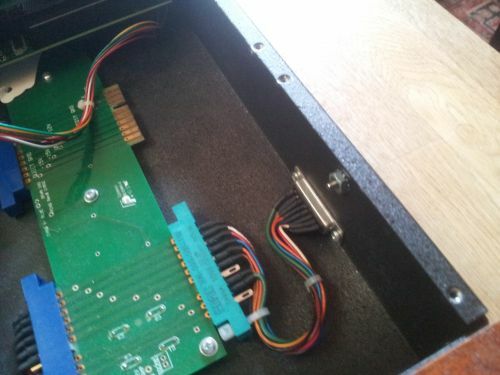 You need connectors mounted into the sides so you can run cables. I already have a bus isolator that allows the bus to run across multiple power sources. The circuit could be built onto the powered busboards. If standard connectors are used, then standard off the shelf cables can be used. Here I suggest DB15, which happens to fit the little rectangular holes that Buchla tends to punch in their boats in various places. This all excellent! I knew I wasn't the first person to ponder these type of ideas. Doug, very cool - nice that the DB15 fits in the rectangular holes in the Buchla cases. Sure it doesn't do audio or CV but I guess that is what long cables are for so definitely a viable solution. ArguZ - I did see that initial video with the Oberheim VST being controlled by the 208 but forgot. The 2EM has a bunch more uses that are really awesome. Making me wonder if I should make a change and get an Easel again. nice that the DB15 fits in the rectangular holes in the Buchla cases. The only snag is that it's getting hard to find short cables in DB15 format. You can't use long cables because the bus will lock up. So maybe it's better to use a more common connector, like the 9 pin serial cable, which still seems to be available. Whatever happens, all the case manufacturers should do it exactly the same way so cases from different builders can be combined without worry. So hopefully someone comes forward and blazes the trail, and others follow. move away from tini jax to normal 1/8" jacks? For live use I agree with moving towards a preset card that doesn't use an ipad. There's no better way to plan obsolescence than to rely on hardware that's guaranteed to change quickly. Speaking to Assi a long time ago, he told me he had done some experimenting when working for BEMI and had confirmed that the settings on the 208 could be "sensed" from the card connections, which is amazing. For me the optimal situation would be a preset card that has, say, 16 preset buttons plus shift (for more banks), save, and recall, and doesn't require anything other than the 208 to program it. Noooo... the mechanical connections are more solid and consistent with tinyjax. I for one would love a Preset Management system that was 21st century. A USB connection with a standalone app front end to create a preset library that is easily backed up and easily recalled! Let's go all the way to 1/4"! A card effects processor would be fantastic.I would jump on one in a minute.Easel expansion is possible within just the realm of the Easel. Modern preset h module to break up the 225e and 207e. Personally I'd have more use for a sub-mixer or gasp... a simple cv/io utility set. Something along the lines of a 227e divided by two... maybe some eq? I know the reverse of what I'm saying is essentially possible with existing h modules, but I'm coming from the view-point of what I have personally in my system now. The preamp is still useful from time to time so not completely unused. Preset h would be amazing for those smaller starter systems... help everyone get the most out of the capabilities of e modules. Looks great in theory but I would think this could create problems because of the varying degree in quality of db15 cables. If anyone here has ever worked with them you know what I mean. use mil spec dude, solder cups are where it's at. How about something easy. A soft case for a 201-12? Maybe deluxe it with a side pocket for the brick? I'd like to see a rechargeable battery in the easel like in the mpc live. Sometimes I go 2 months without using it, and it still holds it's charge. Some kind of cargo net built into the top case cover to hold the power adapter. Just because the easel is portable in a case it's not very portable if you need a separate power adapter case and a place to plug the easel in. For now, can we just get someone to keep the app up to date so it works with the iPad? Should be a total embarrassment that a thousand dollar accessory isn't even programmable because they can't update the app. It doesn't help if they don't fix the WiFi security problems. On modern routers the card will be signed out after a few moments. I really hope the iProgram card can be update, either in hard or software, because i would love to use this but i have no 10 year old less secure router at hand. 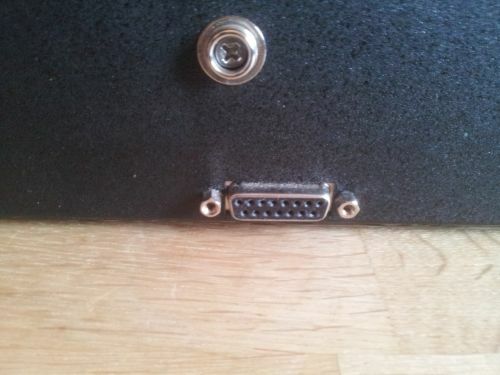 i've been doing something similar with DB9 connectors, although premade DB9 cables are a lot less common than DB15 (VGA) cables. with VGA going the way of the dodo, there are a lot of old VGA cables for cheap/free out there, so the DB15 is probably the better way to go. Note VGA is not the same thing as the DB15 I am referring to above.